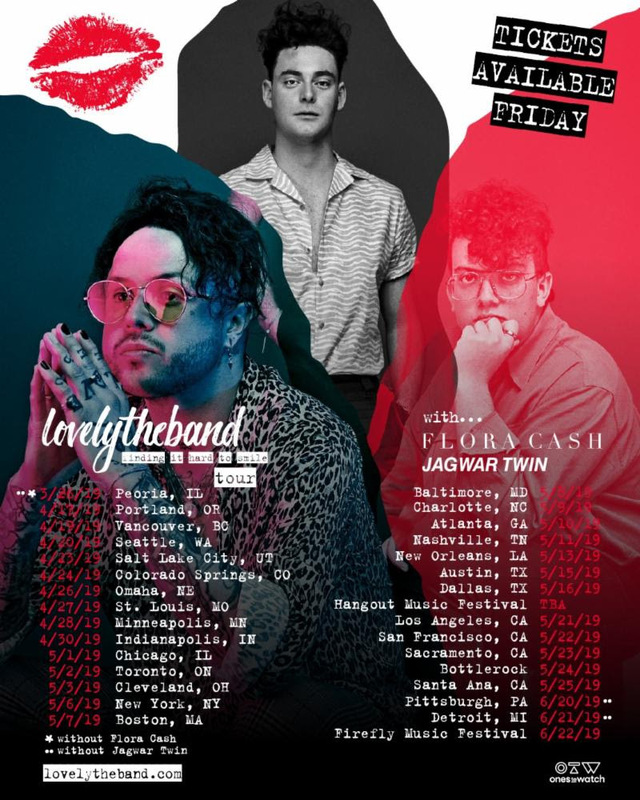 Alt-pop band lovelytheband announces today their upcoming 26-date headlining ‘finding it hard to smile’ spring tour presented by Ones to Watch starting March 26and ending June 21 via RED MUSIC. The tour will hit major cities in the U.S. and Canada such as New York, Los Angeles, Chicago, Toronto and more. During these shows, lovelytheband will perform music off of their debut album finding it hard to smile, including their hit singles “broken,” “these are my friends” and their new single “maybe, i’m afraid,” which officially impacted on Alternative radio this week. The tour will include opening performances from Flora Cash and Jagwar Twin. The band’s top fans on Spotify will have access to a ticket presale on the platform tomorrow, January 16 and tickets will go on sale to the public on Friday, January 18 at 10:00 am local time here. More dates to be announced. The band skyrocketed in 2018, soaring to new levels as a brand new group. “broken,” the debut hit single from lovelytheband,reached #1 on the Adult Top 40 radio chart and is currently still on the chart at #6 and is #12 on the Top 40 Radio chart. The track, which is the first single off the band’s debut album finding it hard to smile, amassed 1.8 billion in total in audience at radio. After being the first to break the record in 2018 for the longest running #1 track on Alternative Radio at 6 weeks, the single has been on the Alternative radio charts for over a year, and has spent 6 months on the Adult Top 40 chart. The song has been in the top 10 for 60 weeks, currently at #9 on the chart. It has over 173 million streams worldwide. The band is starting 2019 with a kicking force, being nominated for three iHeart Radio Music Awards in the Alternative Rock Song of the Year, Alternative Rock Artist of the Year and Best New Rock/Alternative Rock Artist categories.